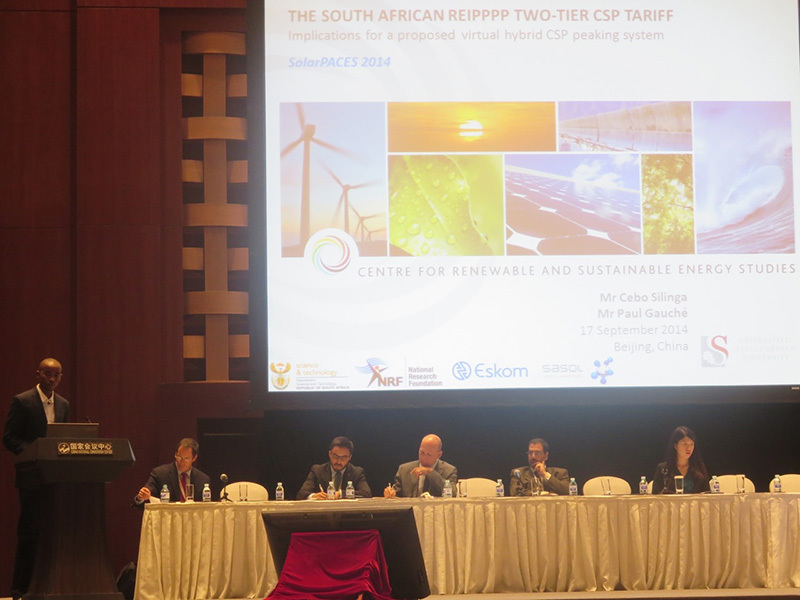 Cebo presenting on the effect of the 2-tier tariff structure for CSP on our proposed peaking fleet. 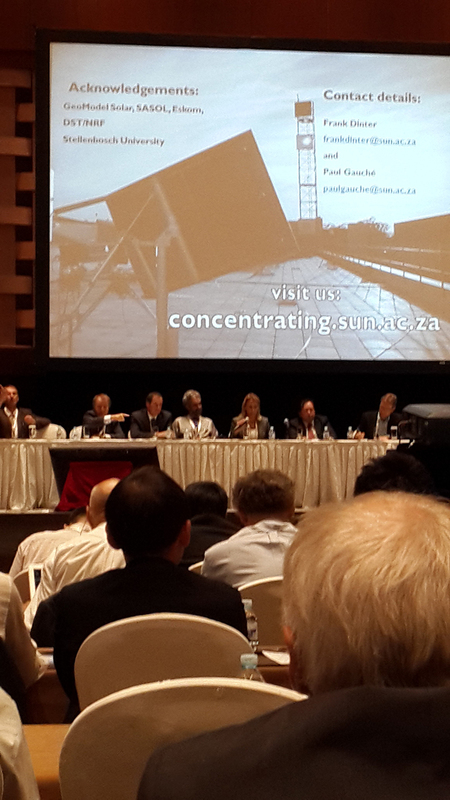 STERG is well represented at SolarPACES again. We were involved in the pre-conference workshops, This crowd picture is our slide which coincidentally was displayed as backdrop to the Tuesday morning plenary discussion. Watch out for Vikesh Rajpaul (Eskom) on the final day of the conference!